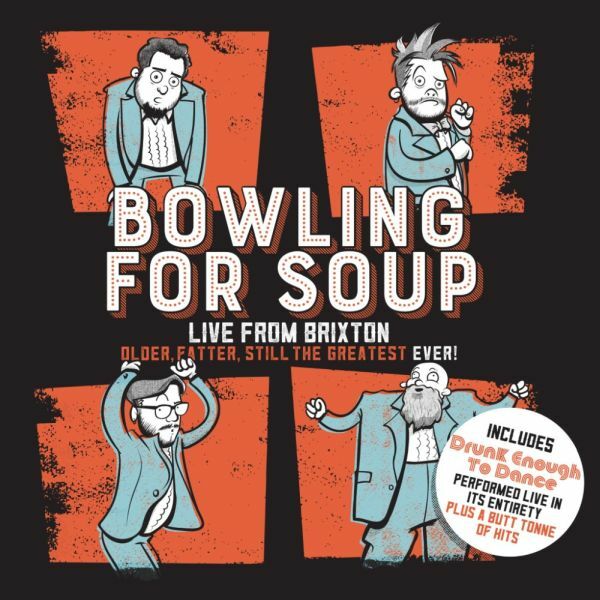 Over the last few years we’ve had an acoustic album, a live acoustic album, a “best of” (featuring re-recordings for contractual reasons)… and now we have Bowling For Soup’s first full-band live album since 2007’s Live and Very Attractive. Recorded at the Brixton Academy at the start of 2018, on the first of two tours that/this year (depending on when you read this), the set included the entire of Drunk Enough to Dance. For those who were at the tour (we were), you’ll know what to expect – with the exception of the between-song schtick which has been pared back to the minimum on this release. Including the intro, there are 24 tracks on here, so it’s pretty good value for money. BFS aren’t one of these “45 minutes is enough for a headline set” artists. Jaret’s voice is a little crackly in places, though it was the last date of the UK leg of a punishing tour and the fact it’s not perfect highlights that this is a genuine live album with no “cheating” in the studio afterwards. While the natter between tracks has been skipped, the intra-song interaction is still there, mainly in the encore tracks like “Ohio” and “1985”. It’s a shame material had to go, but in fairness that banter tends to wear a little thin on repeated listenings anyway. There’s no escaping the fact that Bowling For Soup are a hugely entertaining live act, and OFSTGE (what a catchy abbreviation) captures this perfectly. What sells is the sound of the crowd singing along which has been mixed in at just the right level. You can tell how many people are out there and responding to the singalong moments without them swamping the main parts of the songs. If you couldn’t make it to the tour, or did and want a memento, then this should be in your collection. Of course it’s not as good as being there, but it’s as good as you’ll get without a time-travelling phone-box. Just add beer.